Gizzmo Monster Technology Speaker Cable 50 ft, 16 Gauge, 2 Conductors oxygen free copper mini spool. Super flexible for easy installation, increases dynamic range, improves bass response, extends frequency response, provides highest quality sound, flame retardant for in-wall applications. UL listed. Connects speakers to amplifier/receiver. 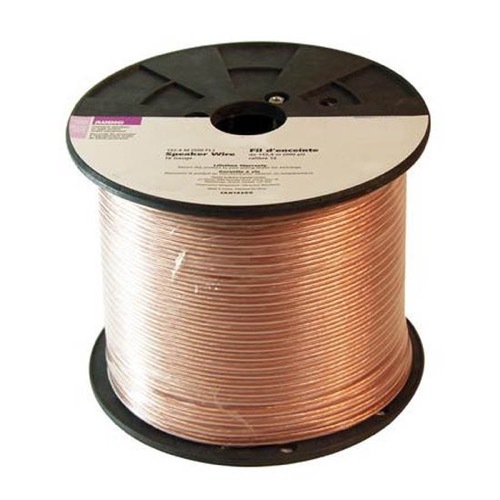 Oxygen-free copper wire provides maximum conductivity for signal transfer.